Prepare lemon bars according to package directions. Allow bars to cool completely. While bars are cooling, prepare gelatin mixture. Add boiling water to the packet of strawberry gelatin. Stir in vodka and fresh lemon juice, if using. Allow to cool. Carefully remove bars from pan, and wipe pan with a paper towel. Spray a light film of cooking spray on the pan, and wipe with a clean paper towel. (This will leave just enough residue to help keep the bars from sticking). (Alternately… you can try simply pouring the gelatin on top without removing from the pan, but I can't vouch for it). Carefully place the lemon bars back in the dish. It's okay if they break a little, as you will be binding them back together with the gelatin mixture. Just piece them back together as best you can. Pour the gelatin mixture over the top and refrigerate for at least 4 hours. 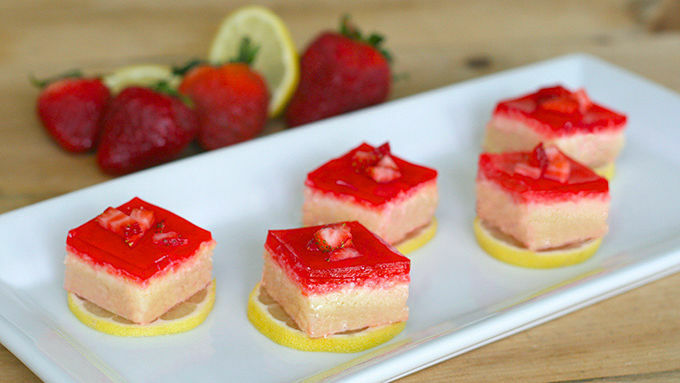 Cut into squares and serve with lemon slices and strawberries. 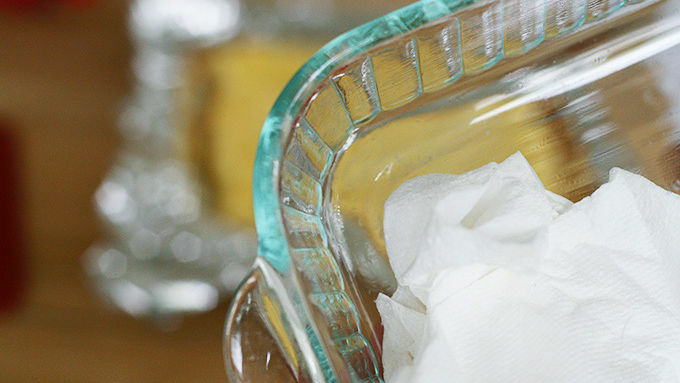 *Using aluminum foil in the pan while making lemon bars will help for easier cleanup. *Don't worry if the bars break during the transfer, the gelatin will fill in where needed and help bind everything together. Get your booze and dessert in one refreshing bite. Summer and lemonade go together like peas and carrots. Right?!? Nothing is better on a hot summer day than sipping on a giant glass of ice-cold lemonade. Well, except if you're drinking strawberry lemonade. That’s even better! And being the jelly shot aficionado/expert; I decided to combine the two flavors into a refreshing boozy bite. 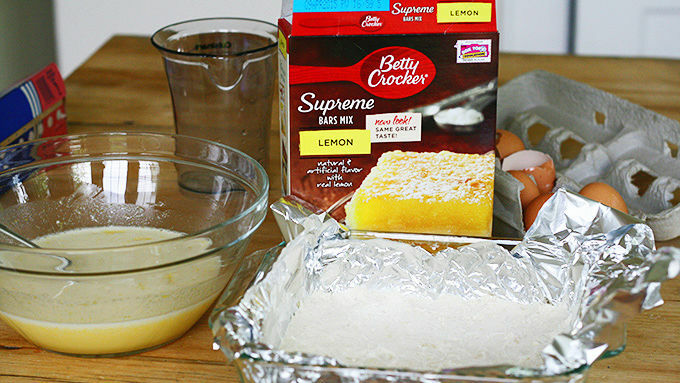 By using Betty Crocker Supreme Lemon Bar mix, you can create a treat that’s part dessert, part jelly shot. When you’re ready to serve, slice into squares, trimming the edges if necessary to create beautifully layered bars. 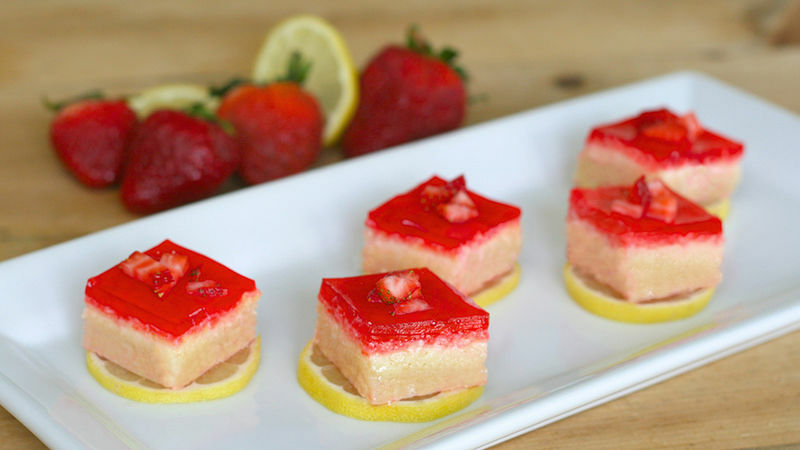 Top with sliced strawberries and serve!